14mm Diameter hardened boron alloy steel chain. 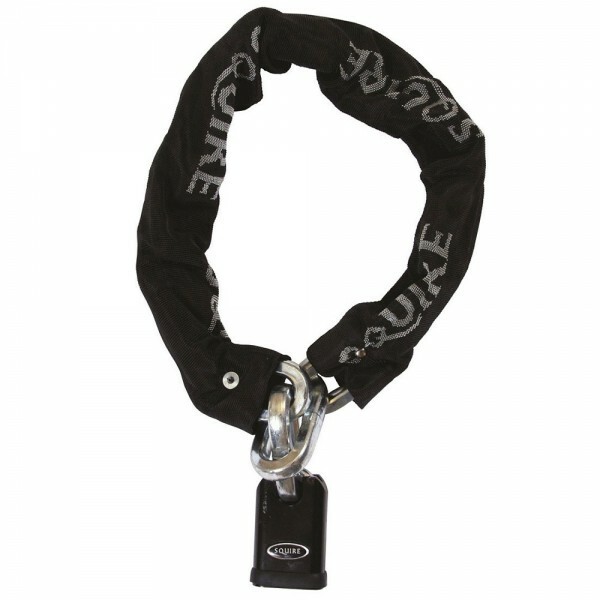 50mm (SS50CS) Solid hardened steel body padlock. 6 Pin tumbler anti-pick lock mechanism gives over 250,000 key differs. Anti-corrosion finish. Motorcycle - Sold Secure Gold.